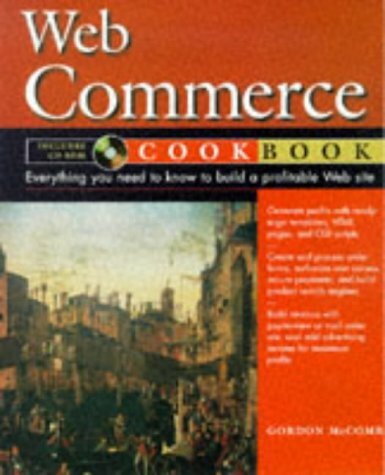 Amazon.com description: Product Description: The code and the tools to make a Web commerce site work. This hands-on book offers step-by-step "recipes" for creating a profitable and secure Web site. It provides all the tools a developer would need to sell wares and content through the Internet. With this nuts-and-bolts book, Webmasters and programmers can use the customizable programming code, HTML pages, ready-to-use templates, CGI examples, and server security components to build a fully-functioning Web commerce site. CD-ROM contains templates, sample code, HTML pages, CGI scripts for order processing, user validation and site management, a compiler, copyrighted freeware, and popular utilities. About: The code and the tools to make a Web commerce site work.